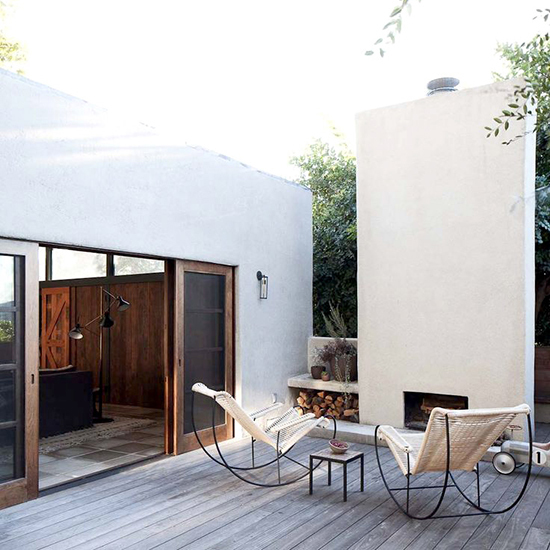 A serene and secluded outdoor retreat is the stuff city-dweller dreams are made of. 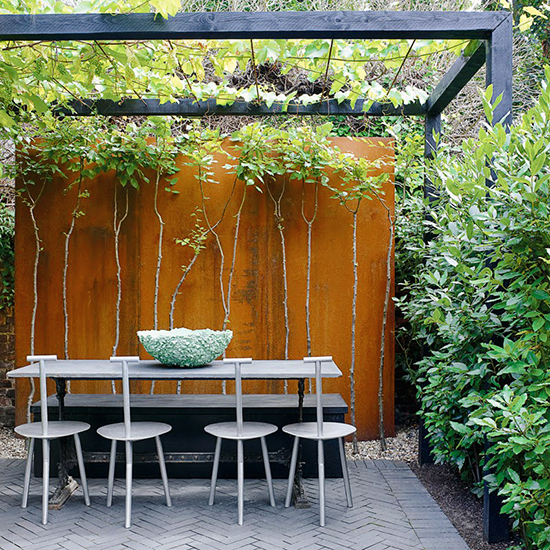 From petite terraces to sprawling patios, designing an outdoor space calls for both architectural savvy and a green thumb. 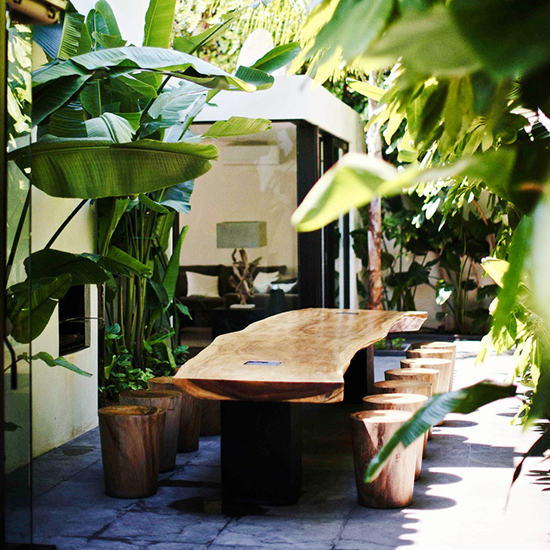 These sublime garden sanctuaries, in every shape and size, will have you craving a place in the sun to call your own. Maximize capacity in small quarters with built-in seating arrangements. 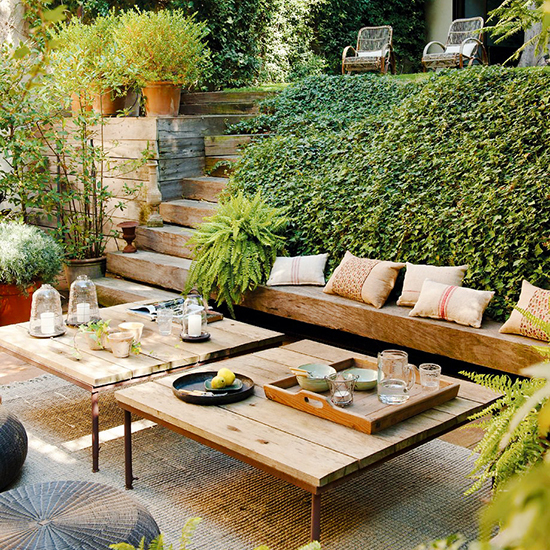 This alone can transform a petite patio into a lounge in one easy step. For smaller spaces, architectural elements add height and texture. 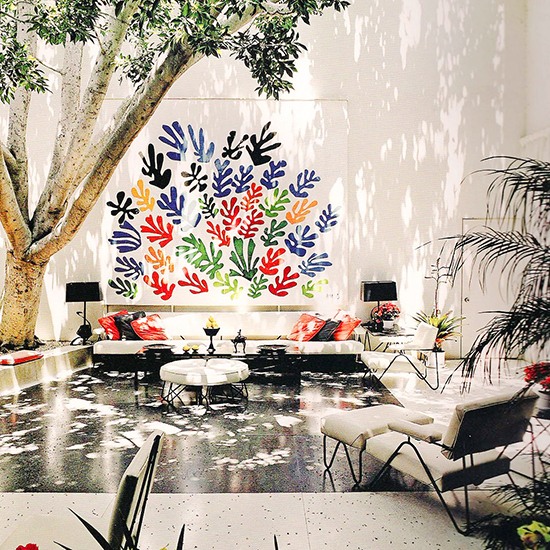 A dramatic fireplace, gravel or stone floor, and light furnishings feel airy yet artful. 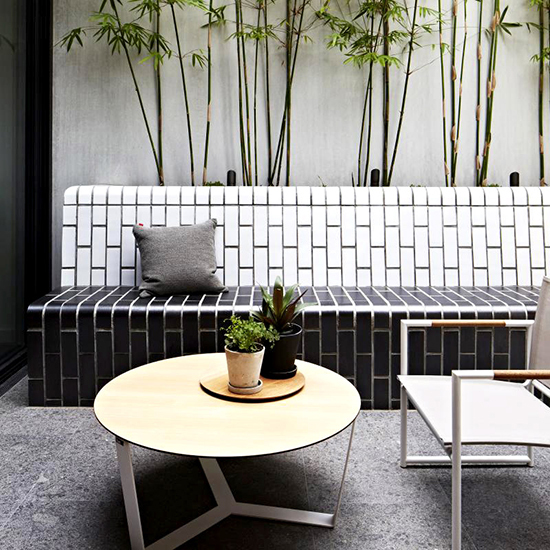 Black is the new green in terms of outdoor trends. A palette of matte-finished, tonal darks channels moody, clandestine sophistication. Curate a kid-friendly space with cheerful, eclectic décor. Thoughtful additions like playhouses and air plants capitalize on space with minimal drama. A range of textures, from subway tile to concrete and stonework, cultivates a style that is found, organic and raw. 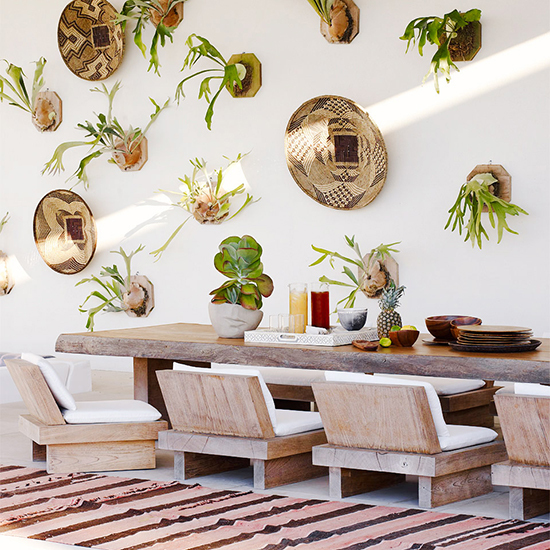 Mix landscape elements in thoughtful ways. Add an dose of sculptural chic with architectural topiaries. 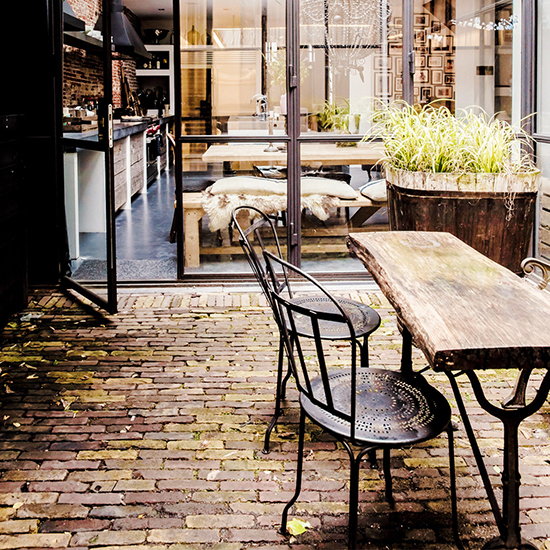 For more envy-inducing outdoor spaces go to Domaine Home.